Property development is one of the two main business areas of VINACONEX. This area has been developed since 1995 when VINACONEX first implemented the Trung Hoa Nhan Chinh new urban area and Trang Tien plaza in Hanoi. Since then, VINACONEX and subsidiary companies have been implementing hundreds of property projects in all over the country, such as Trung Hoa Nhan Chinh new urban area, Splendora project (Hanoi), and Cat Ba Amatina Resort with villas, yacht harbor, casino, and parks (Cat Ba island in Hai Phong city), etc. In the long-term, VINACONEX will continue promoting property development as one of its two core business areas, for this area not only brings profit to the corporation but also supports other business areas such as construction, industrial and construction material production, etc. 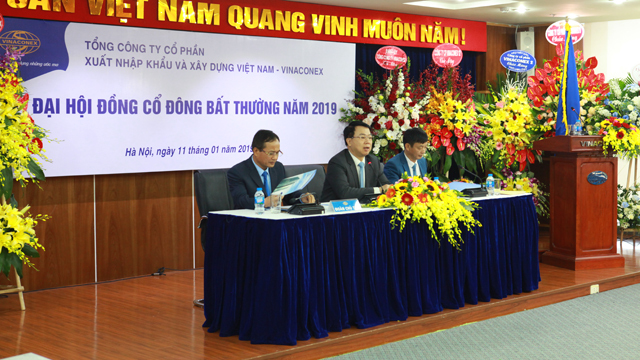 To achieve the target of becoming the leader in Vietnam's property development area, the corporation is strengthening subsidiary companies and setting up more businesses to specialize in the field, as well as diversifying property investment forms.